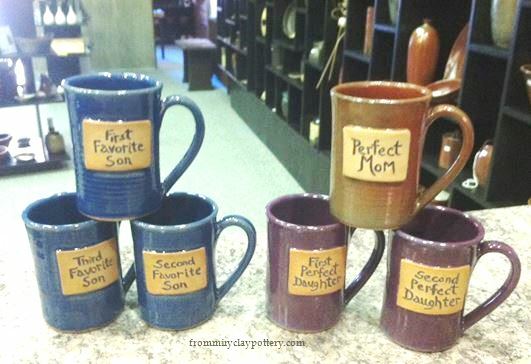 We were commissioned to make two handmade pottery tall slender mugs, each one with two plaques that had different words on each on. They were given as gifts. 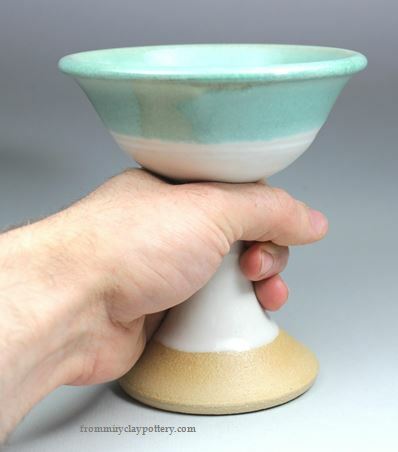 We were commissioned to create a custom shaped chalice to be used in a play. The glaze colors are not a part of our standard set to choose from. have a plaque on one side and on the other side a design. off at a Ogden Water Buffaloes fundraiser. And yes, 'Buffaloes' is spelled correctly. We had to look it up.